Shiroe and the Round Table are still caught in tense political negotiations with various members of the League of Free Cities when news reaches them that a massive goblin force is invading the Zantleaf Penninsula and moving fast into the territory of the People of the Land. This compounds to create more problems for Shiroe as the already reluctant nobles of the League begin to look at Akiba as a potential solution to the newfound threat, not understanding the true operations of the Round Table. All of this puts the debates in a stalemate, until help comes from a surprising source. Meanwhile, Touya, Minori and the gang find themselves in the middle of the conflict when goblins attack them during their training camp. Considering the fact that goblins are hardly a major threat for higher level players (especially since they can just revive again), the most difficult task this volume had was creating an actual feeling of consequence for the readers. The narrative attempts to do this in two major ways: scope and politics. The first of these, scope, is handled through the previously separate concurrent events that began in the previous volume. The sudden attack serves as a way to tie the previously separate story arcs of the various characters of Log Horizon in a way that I wouldn’t have seen coming otherwise. While lower-level players were out in a training camp, Shiroe and the Round Table were negotiating with the League of Free Cities. However, both of these groups were suddenly hit with the news of the goblin invasion, the former by direct encounter and the latter indirectly by message. By introducing the conflict on multiple levels simultaneously, the story is able to invoke a stronger feeling of the level of invasion the goblins are attempting. Because of this, the People of the Land are completely overwhelmed, which is where the second major way comes in. Because they need the adventurers of Akiba to help them, an already interesting political position becomes more so as the goblin invasion turns into a conflict that one way or another will decide the adventurers’ place in the new Elder Tale. It’s still worth mentioning that despite many theatrics the reality still is that the adventurers of Akiba are clearly under very little threat from this incoming attack. Although Touno manages to make the most of the situation, Log Horizon is still clearly focused on world building and the politics of Elder Tale. If you were hoping that things would become more visceral, you’re probably in for a disappointment. There are plenty of battles, but mechanics and strategy are the key focus of the narrative during these moments. Fortunately, if you’ve read this far this is probably not much of a concern. The actual drama is with the League of Free Cities, namely the Round Table’s involvement with the League as well as the relationship between adventurers and People of the Land. To Shiroe and the others, it is clear that their actions are going to have long term effects on their relationship with the lords of the League as well as the lords’ relationships with each other. The way these political struggles play out is interesting, both because of what different individuals want and because of basic misunderstandings between adventurers and People of the Land about how the other side operates. What really makes this effective, however, is the transitions in perspective from character to character. Touno is good at developing characters and creating dramatic irony by allowing readers to have access to more information than any one individual member of the cast has access to. While this can be potential plot elements, a lot of times the interesting moments of dramatic irony are when a character comes to their own realization about others based on information that the audience already knew, such as when Princess Reinesia visited Akiba and commented on the social structure of adventurers. This is also interesting because different characters can be varying degrees of an unreliable narrator. This can be the result of a misunderstanding of what’s happening on their part, but sometimes it can also come from them just not being honest with themselves. Princess Reinesia frequently refers to her own laziness as her key characteristic, but in doing so she overlooks the effort she willingly puts into her actions and to a degree misses her own influential role in the events of the volume. For new characters like Reinesia, and even for old characters like Shiroe to an extent, this development is quite well done in my opinion. That being said, some of this development for previously established members of the cast such as the lower level players feels repetitive. While it is true that their situations merit continuous development in the same area (low level players improving at the game), it doesn’t feel to me like all of this development is varied or at least nuanced enough to prevent it from feeling a bit stale. 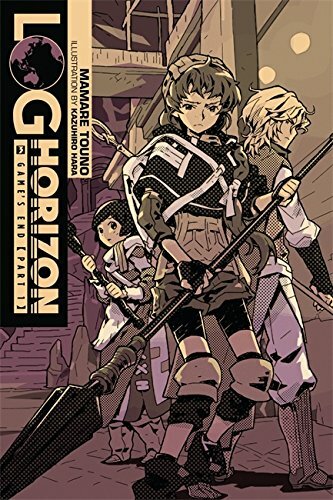 Log Horizon’s fourth volume continues to do well what the previous entries in the series excelled at. The world building’s seamless integration into the plot and the continued use of it in politics, namely the council of the League of Free Cities, makes Log Horizon an intriguing take on the trapped-in-an-MMO subgenre. While the series still has a slower nature of storytelling, there is definitely a sense of seriousness in the conflict that kept me entertained. 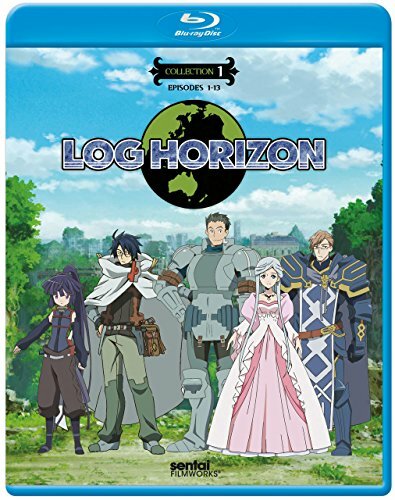 My biggest concern moving forward is how Log Horizon will handle the development of its already-established cast, since several characters already feel a bit stale. That, and the occasional tacky dialogue. This volume definitely works as a solid conclusion to the arc that began last volume, so I’d say it merits a read. 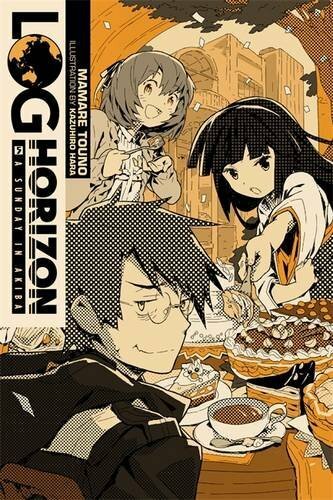 Log Horizon Vol. 4: Game’s End Part 2 was published by Yen Press on March 22nd, 2016. Authored by Mamare Touno and illustrated by Kazuhiro Hara, the series is currently ongoing and published by Enterbrain. 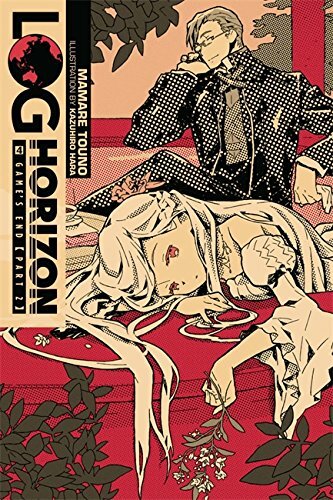 The series has receive a two season anime adaption from 2013-2015 and volume 5 was published in English on July 19th, 2016.